Total time: Approximately 20 minutes, plus optional chill time. Mince onion, jalapeno, and garlic separately or together. In a saucepan over medium heat, melt the butter and saute onions until they start to turn clear. Add the jalapeno and garlic and saute until soft. Add all of the other remaining ingredients except cream and cream cheese. Mix until smooth. Reduce heat to low. Slowly add cream cheese, mix until smooth. Slowly add the cream. Simmer on low for 5 minutes. Serve warm or chilled. 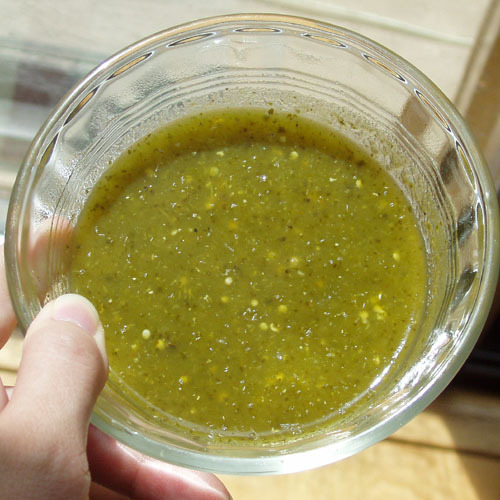 If you plan to use this as a marinade, chill completely before use. 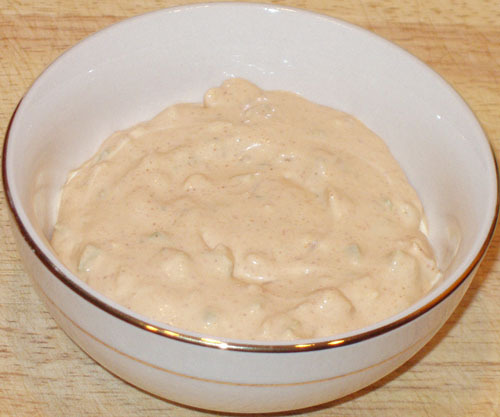 Make it a dip: Add 1/2 cup shredded cheese at the end and mix well. Cut the onion and jalapenos in half (long way for jalapenos). Grill or Broil onion, peppers, and half the melon slices until the edges just start to char. Flip or turn them until all sides are this way. Remove from heat and let cool. Remove the outer layers of the onion and melon skin, discard. Chop two slices of onion and place in food processor or blender. 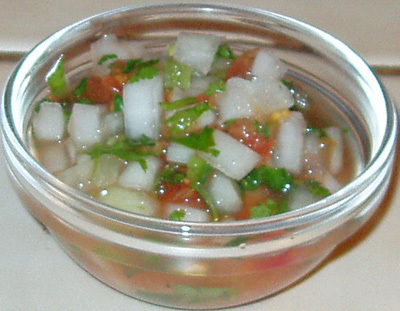 Add jalapenos, cooked melon, and half the cilantro, puree until smooth. Chop up the remaining raw melon and cooked onions and place in medium mixing bowl. Add puree and remaining cilantro, mix well. Squeeze in the juice of one lime, mix well. Chill for at least one hour before serving. 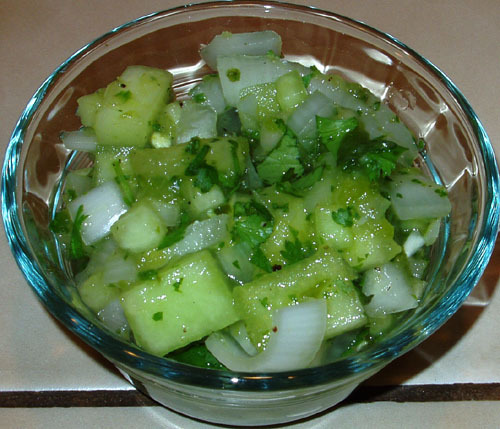 I don’t normally like fruity salsa, and I never thought I’d make some, but I have this honeydew itching to be eaten, and I’m running out of ideas. I imagine you could use cantaloupe, pineapple, mango, or some other sort of fruit. This was startlingly good. Total time: Plan on 1 hour per 10 empanadas. Heat 3/4 inch vegetable oil in a deep 12-inch skillet over medium heat until it registers 360°F on thermometer. Fry empanadas, 2 or 3 at a time, turning once, until crisp and golden, 4 to 6 minutes per batch. Mix the dry ingredients together. Cut in the lard with a pastry cutter or 2 knives until the mixture resembles coarse meal. Whisk egg and mix into chicken broth. Mix the broth and egg into the flour mixture and knead until dough forms. Cover and refrigerate for 30 minutes. Lightly flour a surface and roll out dough to 1/4 inch thick. 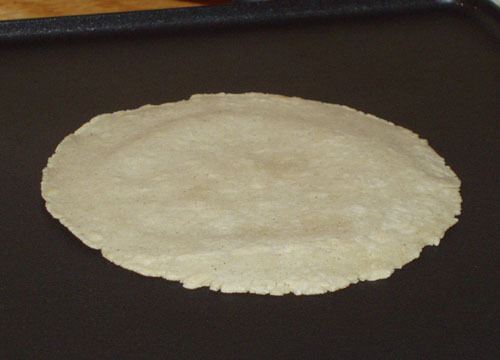 Cut into 4-inch circles for small empanadas, 5-inch for medium ones or 6-inch for large ones. Place 1 tablespoon of filling in the center of the dough circle for small empanadas, 2 tablespoons for medium and 3 tablespoons for large. Fold dough over to make a filled half circle and use a fork to press the edges together. Refrigerate uncooked empanadas for 3 hours. Fry in 350 degree oil for 6-7 minutes or until golden brown. Update June 16, 2009 – Used this dough recipe for potato pockets, and it was cuppylicious! I didn’t use a circle cut-out, though. Instead, I divided up the dough into 12 equal fist-sized balls and rolled them individually. Also, 1/4″ is a little thick for me, so I rolled mine thinner. It’s really preference. When I put flour down on my board, it seemed to make the dough sort of elastic-feeling, so I wiped the board clean and rolled without. I think Empanada Dough I is “flakier” than this recipe. Perhaps if I’d only rolled the dough to 1/4″ thick instead of so thin like I did…? Regardless, my potato pockets recipe made the exact right amount to use all the dough. Woohoo! Total time: Full recipe of 30 empanadas will take close to 3 hours. Plan on 1 hour per 10 empanadas. A great addition to our "Meximeal"!! This dough made only 9 of my preferred sized empanadas the first time I did it. I’ve had mixed results since. Prepare empanada dough as directed; set aside. Brown meat in medium skillet on medium heat; drain. 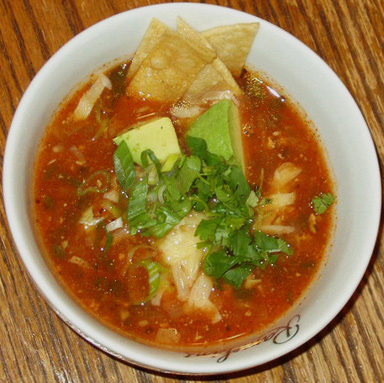 In a large mixing bowl, add all of the ingredients and mix well. Shape dough evenly into 9 balls, using about 3 Tbsp. of the dough for each ball. Flatten each ball into 6-inch round with a rolling pin. Spoon about 1/4 cup of the meat mixture onto center of each round. Fold dough rounds in half to enclose filling; press lightly on tops to remove any air pockets. Seal edges with fork or fold over and press down. Heat oil in large deep skillet to 375°F (you can flick a drop of water into the pan and it’ll sizzle). Add empanadas, in batches of three or four; cook 3 min. on each side or until golden brown on both sides. Remove from oil; drain well. Cool slightly before serving. This filling makes about 30 empanadas!!! I had no idea it was going to make so much! I wouldn’t do that much meat again! I made 9 for JB and Brett and myself, and then I put the rest of the filling in the refrigerator. 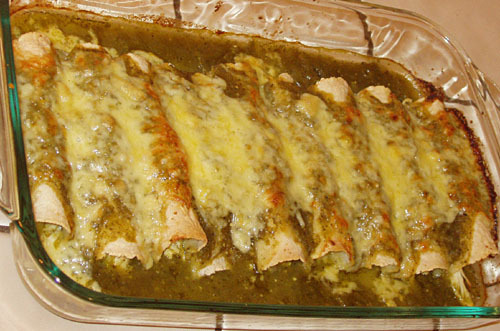 I made 9 more the next day, and I still had too much filling leftover. So… cut back on the meat and vegetables for a smaller amount of filling. 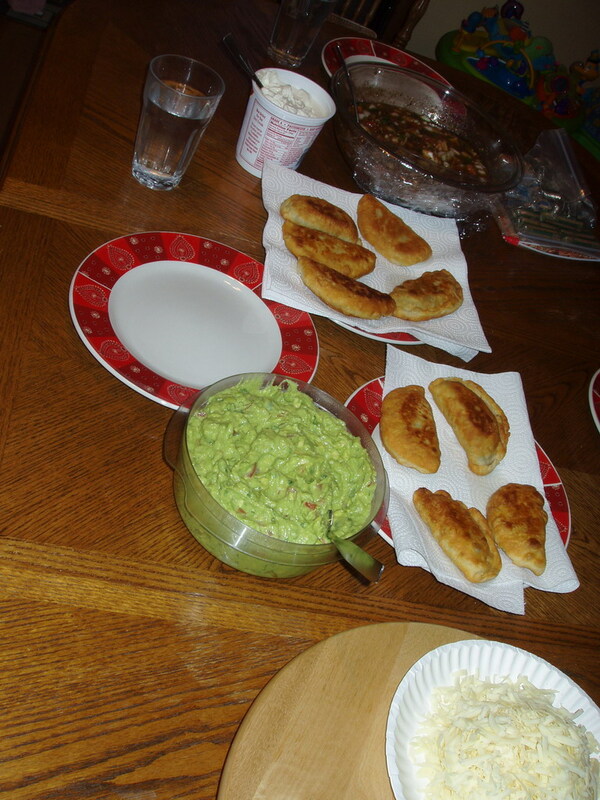 We served them with cheese, sour cream, homemade grilled salsa and guacamole. From the folks over at Kraft Food & Family. COMBINE flour, salt and baking powder in large bowl. Cut in lard with pastry blender or two knives until mixture resembles coarse crumbs. Gradually add water, stirring until mixture forms a ball. PLACE dough on lightly floured surface; knead 5 min. or until smooth and pliable. 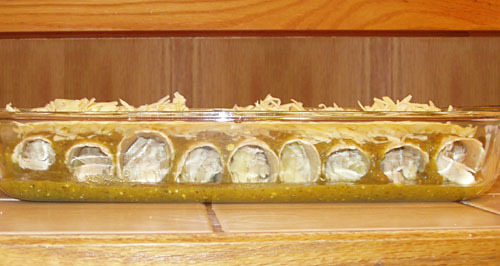 WRAP tightly; set aside while preparing empanada filling. Prepare as directed, substituting 1/2 cup sugar for the 1 tsp. salt. Prepare dough as directed. Wrap tightly and refrigerate up to 2 days. Remove from refrigerator about 30 min. before using. Let stand, covered, at room temperature until ready to use as directed.